AOL layoffs are reportedly on the way after the company merges with Yahoo! Inc. (NASDAQ:YHOO). 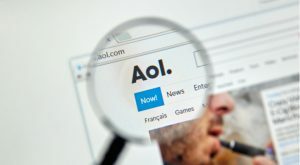 Recent reports claim that Verizon Communications Inc. (NYSE:VZ), the owner of AOL, will be reducing the company’s workforce after it merges with Yahoo. The merger is set to take place once VZ finishes its acquisition of YHOO. The new company that will be created by merging AOL and Yahoo! Inc. will be called “Oath.” The reports claim that Verizon Communications Inc. plans to cut 15% of jobs after the merger. The two companies have a combined total of about 14,000 employees. This means that roughly 2,100 jobs will be cut. The reason for the job cuts following the merger will be to remove duplicate positions. This includes employees in the marketing, finance, HR and other departments. Verizon Communications Inc. isn’t reportedly offering buyouts, but some employees that have left recently are receiving payments to help reach workforce reduction goals. An AOL spokesperson told Tech Crunch, which it owns, about plans after the merger. This includes “aligning,” the new company’s “global organization.” The publication says that the job cuts also won’t be equal across the different departments. The merger between Verizon Communications Inc. and Yahoo! Inc. is expected to close in the near future. VZ was originally offering $4.8 billion for YHOO. However, details of a data breach got out and the deal’s value dropped by $350 million. Article printed from InvestorPlace Media, https://investorplace.com/2017/06/aol-verizon-communications-inc-vz/.